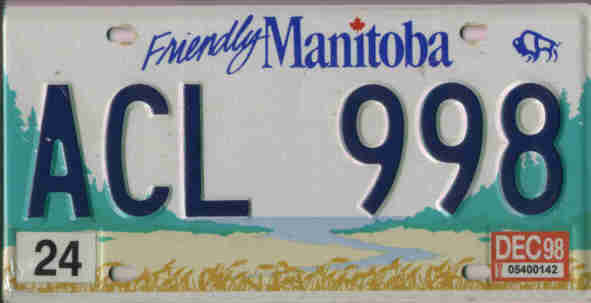 Hi I'm Glenvil Roberts. 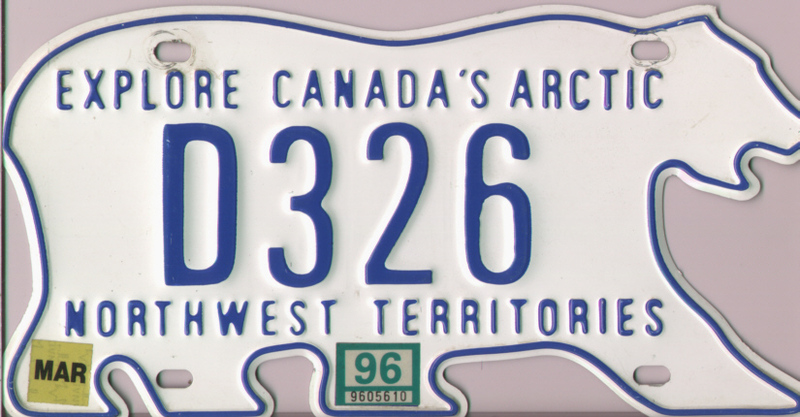 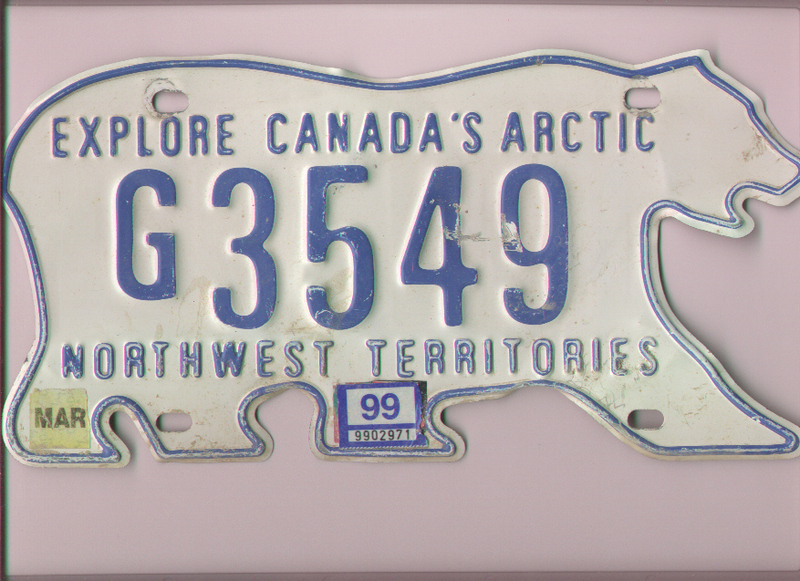 I first became fascinated with licence plates when I visited Canada in 1973. 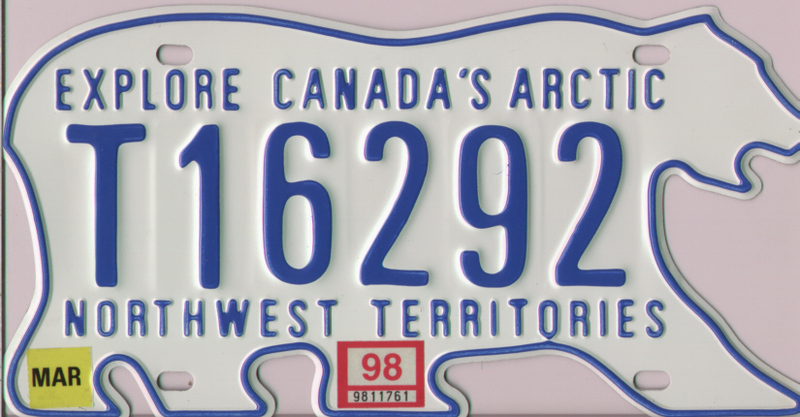 While down in Banff I saw plates from across Canada and the United States, in all colours and with all different messages. 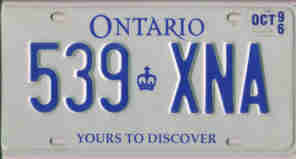 They were so different from plates in my native England. 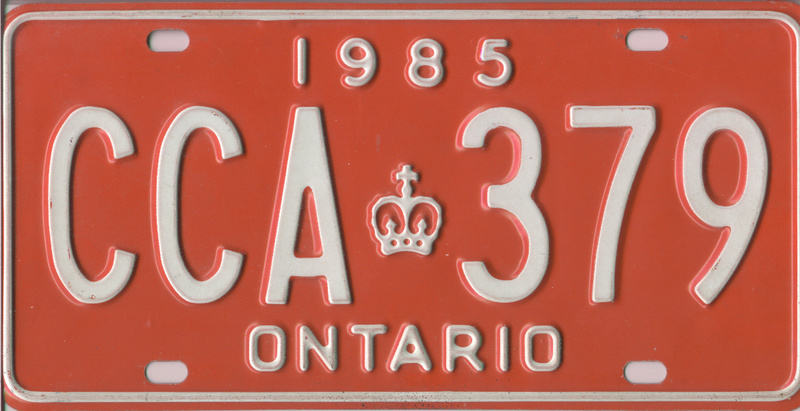 I moved to Canada in 1974 and aquired my first plate in 1982, a California yellow on blue, a souvenir of our trip to California. 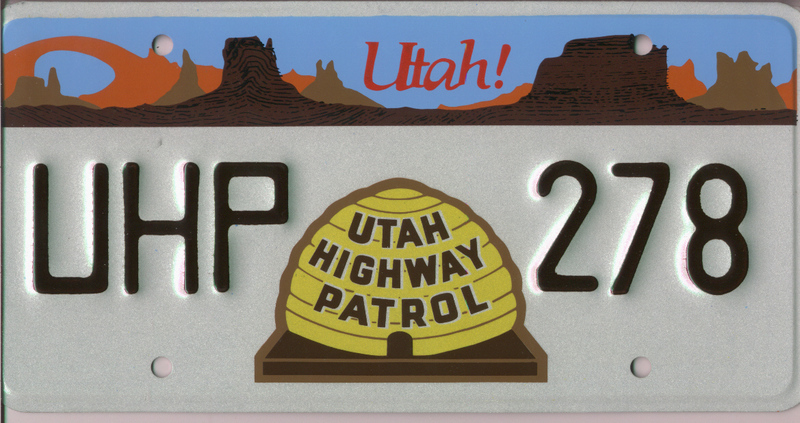 I later became a Freeway Patrol Officer and my close contact with high density traffic was the natural catalyst for the hobby of plate collecting. 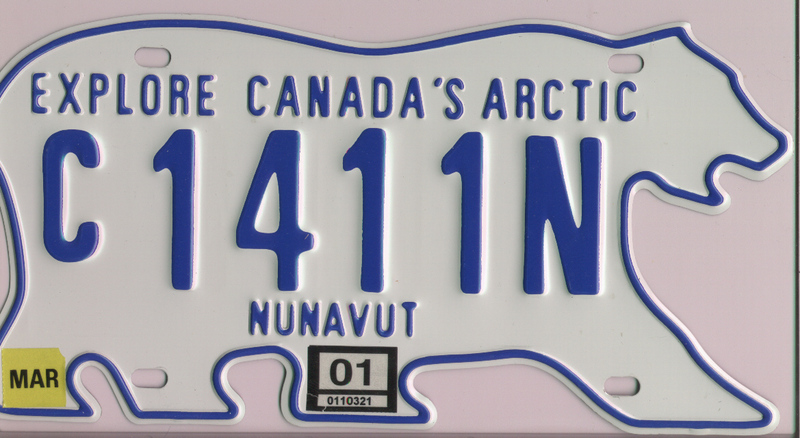 Now welcome to my plate page. 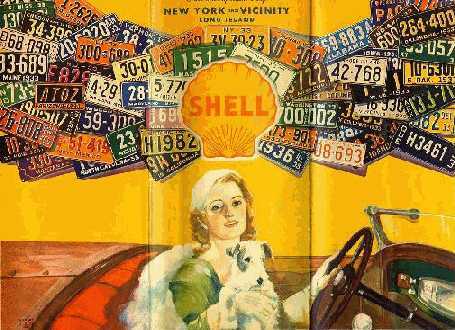 Remember, you are an artist, creating your life portrait, and your paints and brushstrokes are the choices you make each day. 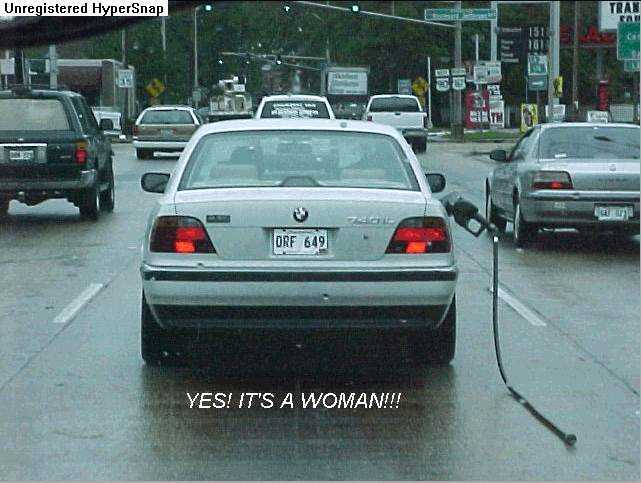 Think critically. 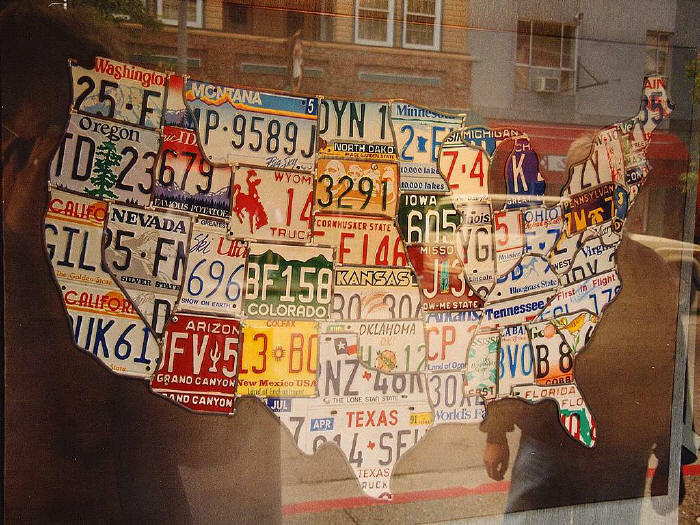 Live creatively. 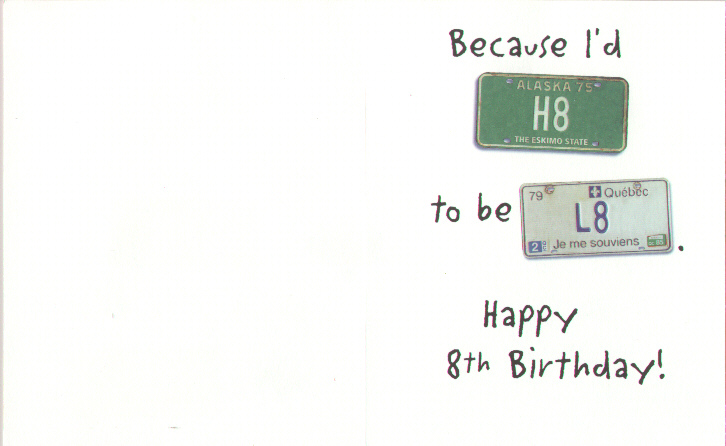 Choose freely. 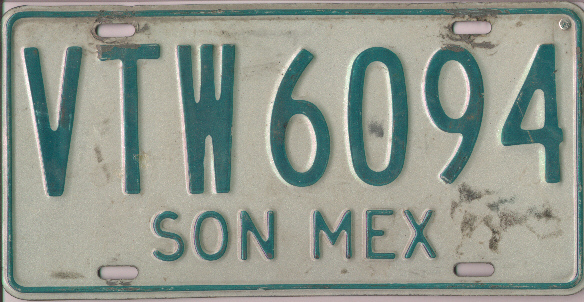 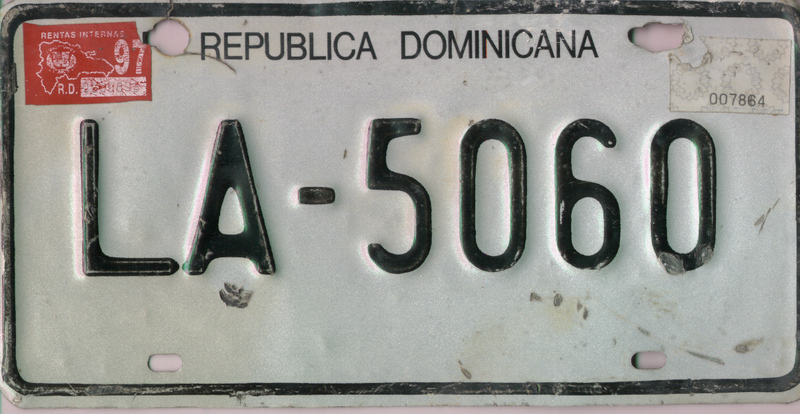 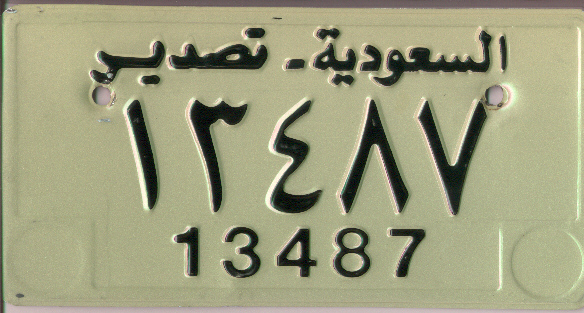 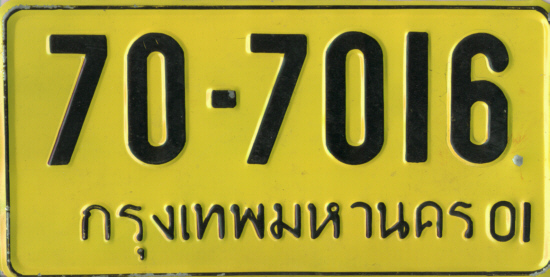 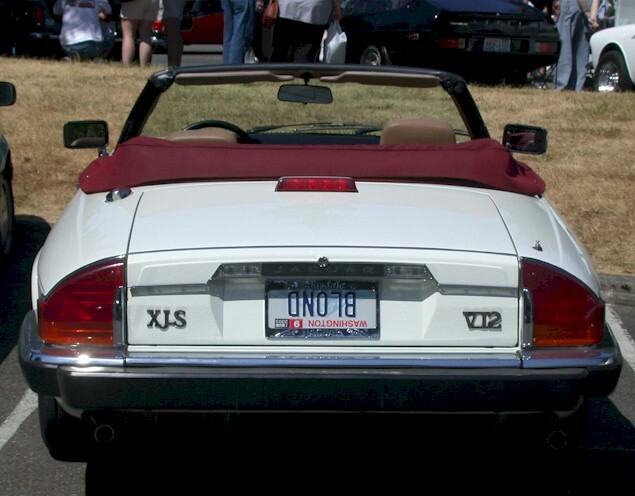 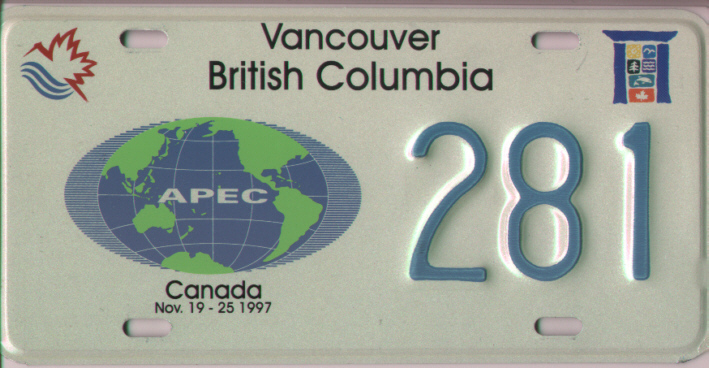 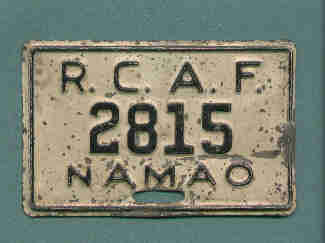 Licence plate, Department of National Defence base, used for general vehicles at the 1997 Asia Pacific Economic Cooperative held at Vancouver, British Columbia. 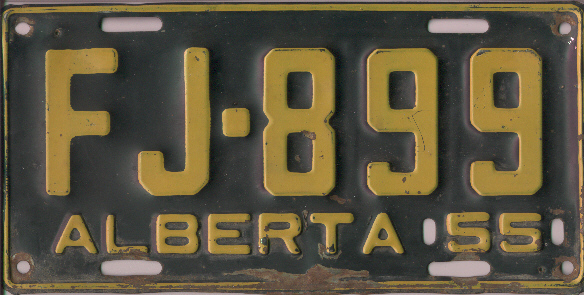 Licence plate, Insurance Corporation of British Columbia base, used on motorcade vehicles only. 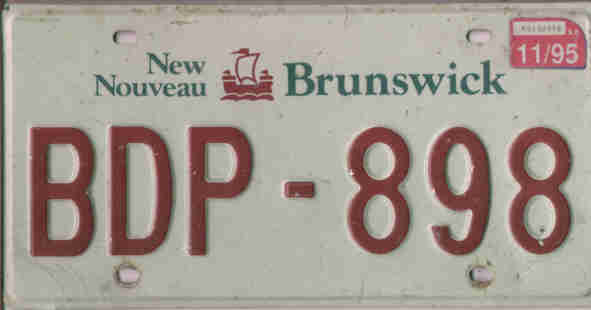 A Prince Edward Island "Anne of Green Gables" plate. 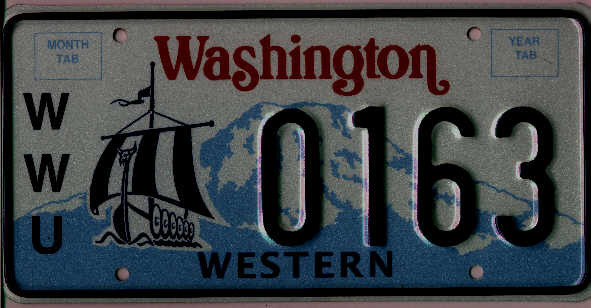 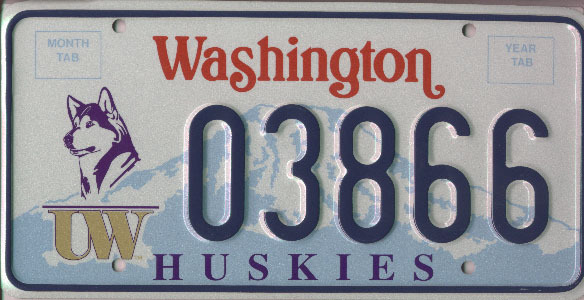 A Western Washington University plate. 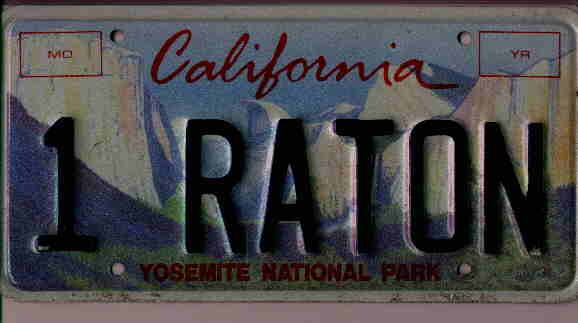 A California personalised Yosemite plate. 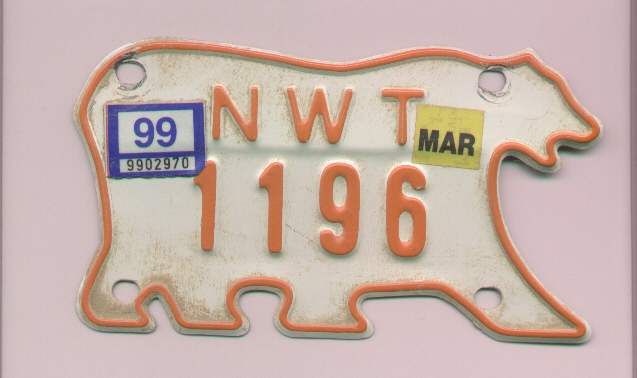 "Thank you for your letter dated October 6, 2003 requesting a license plate from the Oklahoma Highway Patrol. 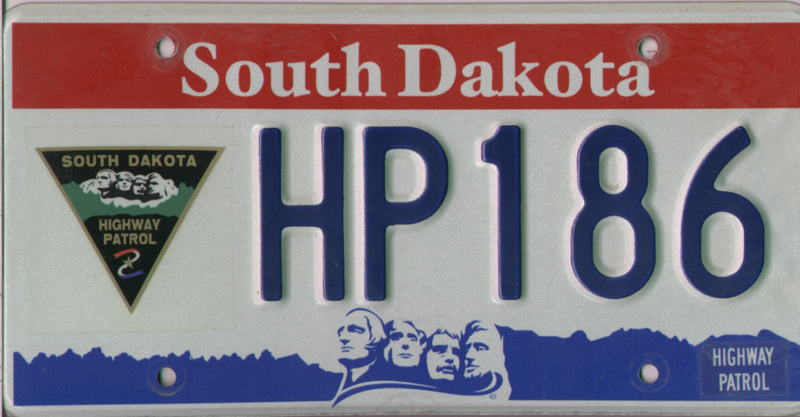 Enclosed please find tag OHP-19. 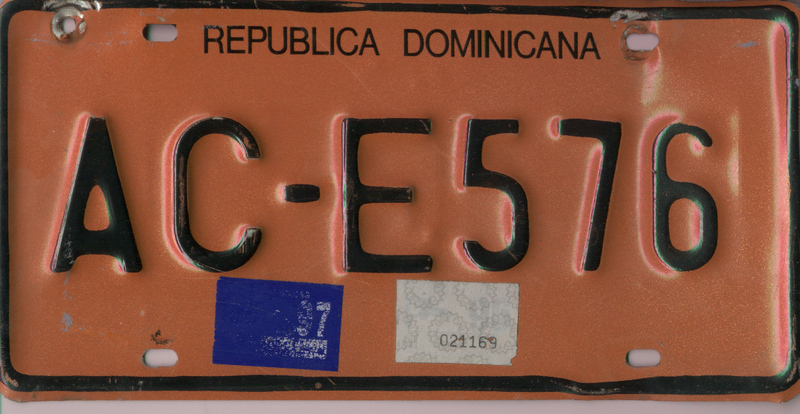 This tag belonged to First Lieutenant Cell Howell who was killed in the line of duty on April 27th 1977. 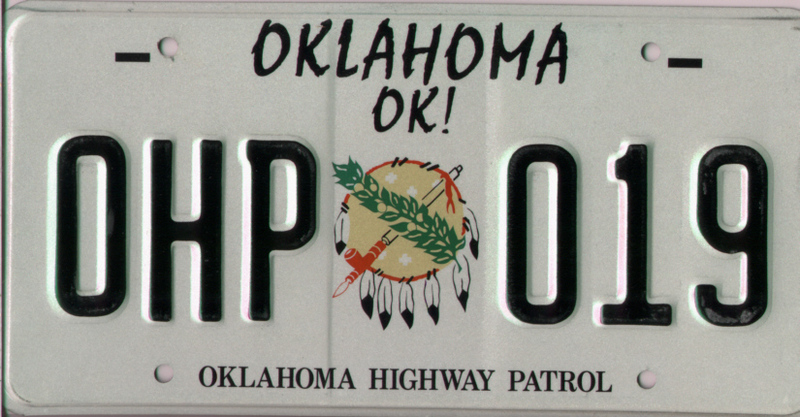 Lieutenant Howell joined the Oklahoma Highway Patrol in 1958. 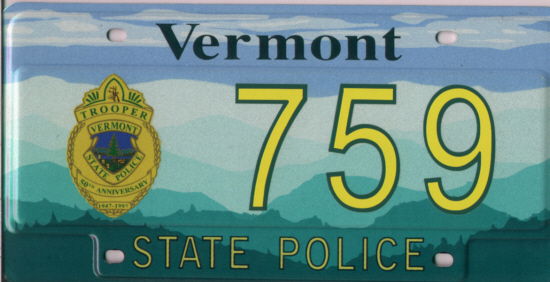 On April 27th, he stopped to assist a motorist and his pregnant wife at S.W. 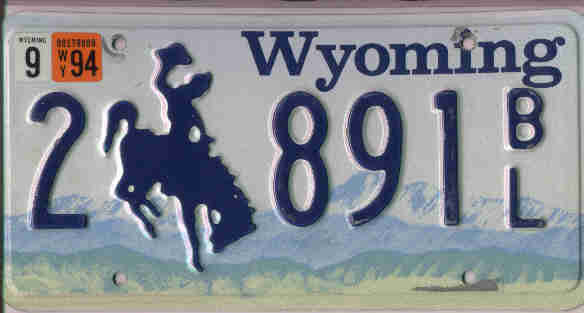 89th on US Highway 62 in Oklahoma City. 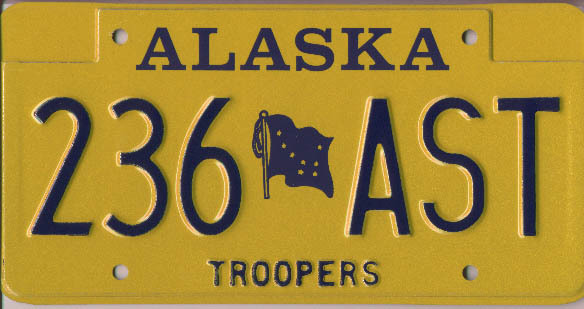 As Lieutenant Howell approached the vehicle an intoxicated driver veered from the inside lane to the shoulder and the right front of the vehicle struck Lieutenant Howell. 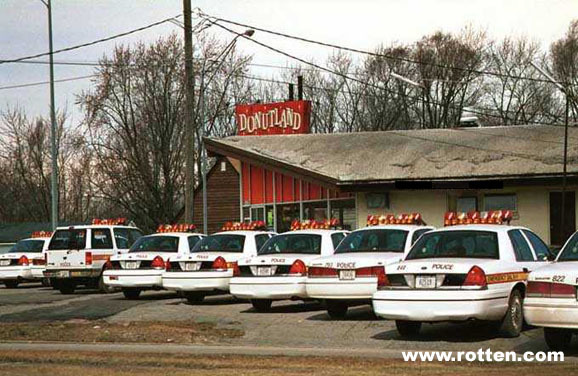 The driver, a Chickasha man, left the scene without stopping and was apprehended by the Oklahoma City Police Department at S.W. 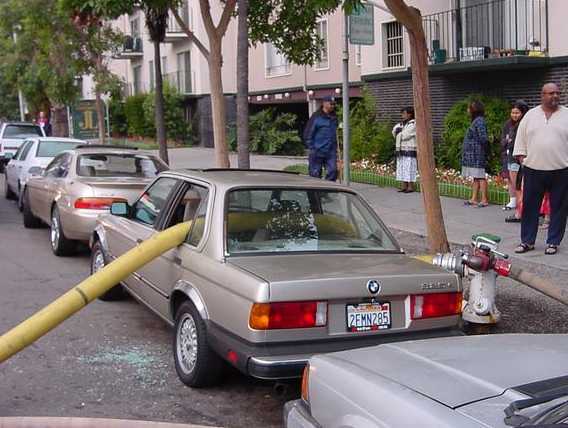 15th and Agnew a short time later. 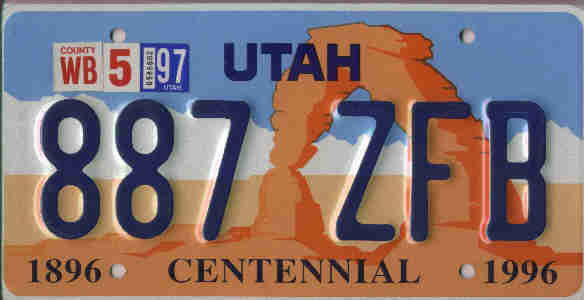 He was subsequently sentenced to a lengthy prison term. 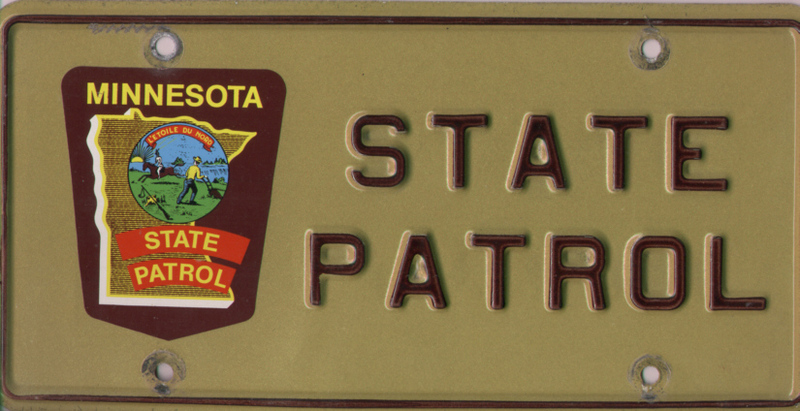 Thank you for your interest in the Patrol. 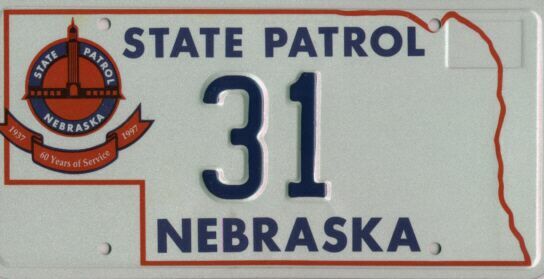 Sincerely, Gary D. ADAMS Chief of Patrol"
South Dakota Highway Patrol plate. 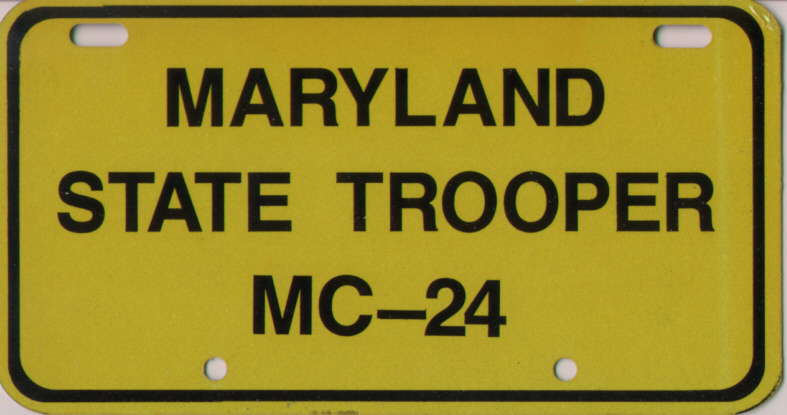 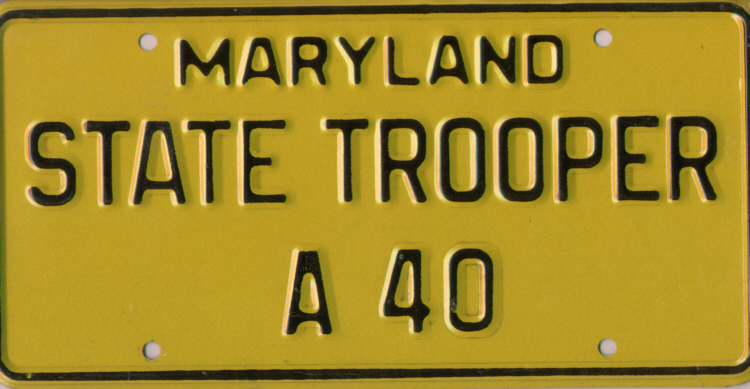 Maryland State Police motorcycle plate. 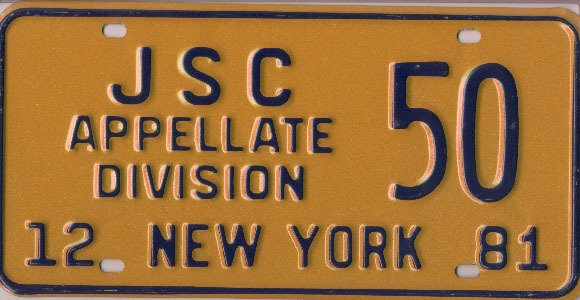 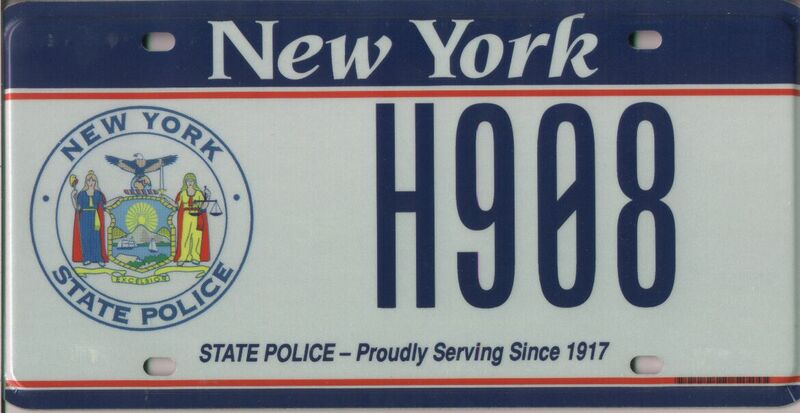 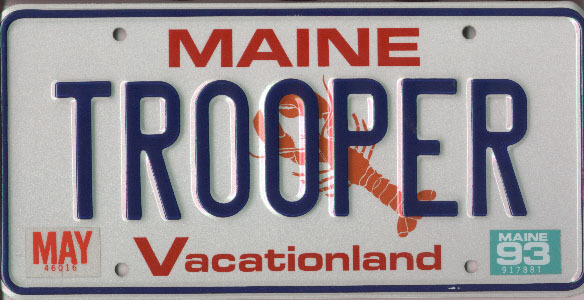 New York State Police plate. 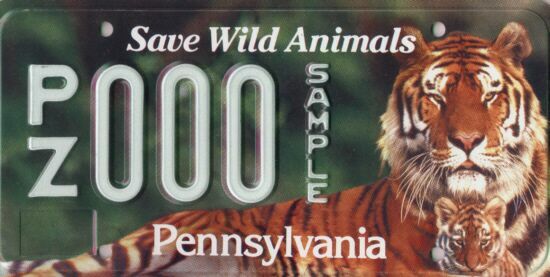 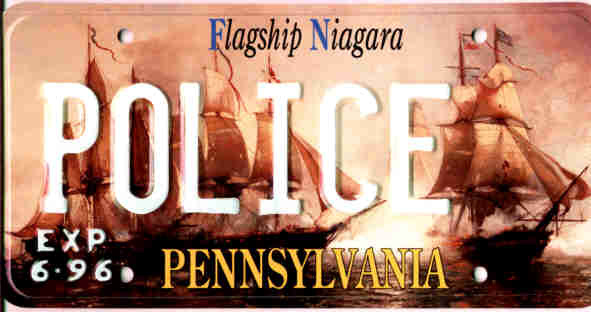 A Pennsylvania "Flagship Niagara" souvenir plate. 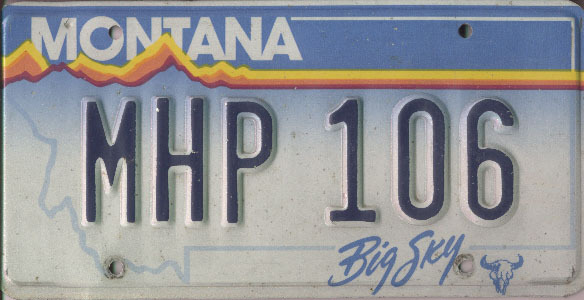 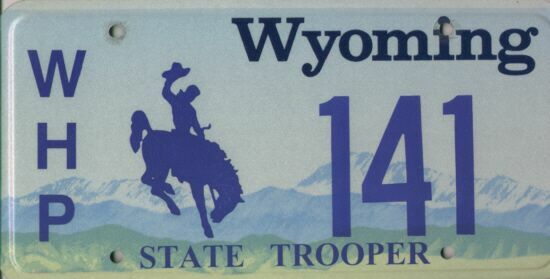 A Montana Highway Patrol plate. 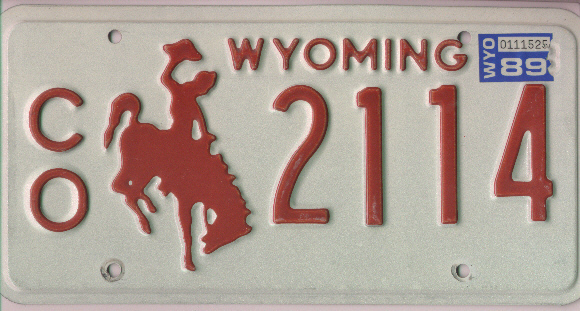 A Wyoming County Sheriff's plate. 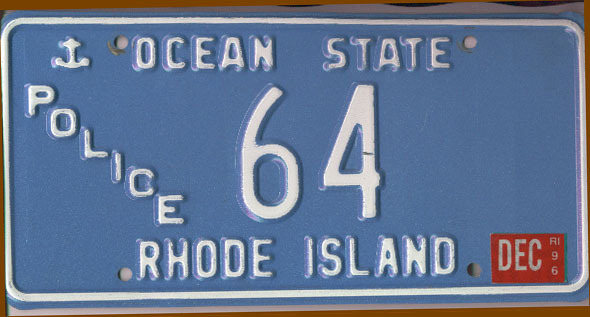 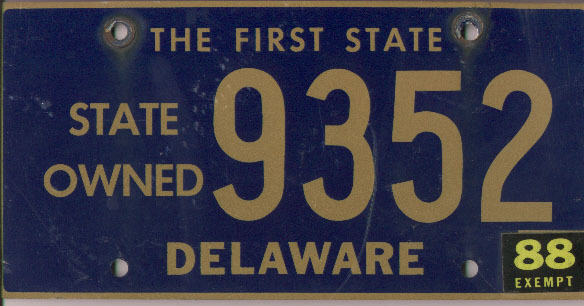 A Delaware State Government plate. 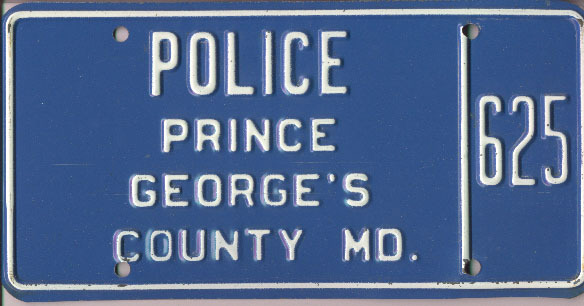 A Prince George's, Maryland, County Police plate. 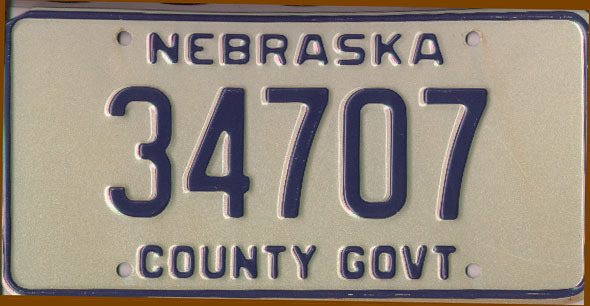 A Nebraska County Government plate. 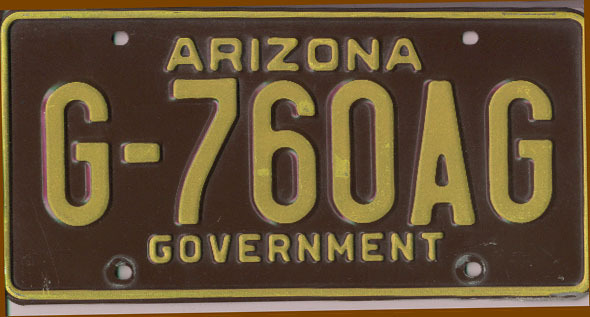 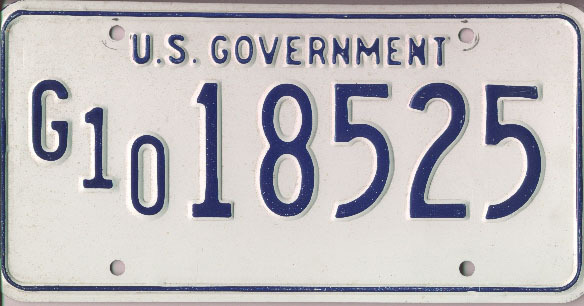 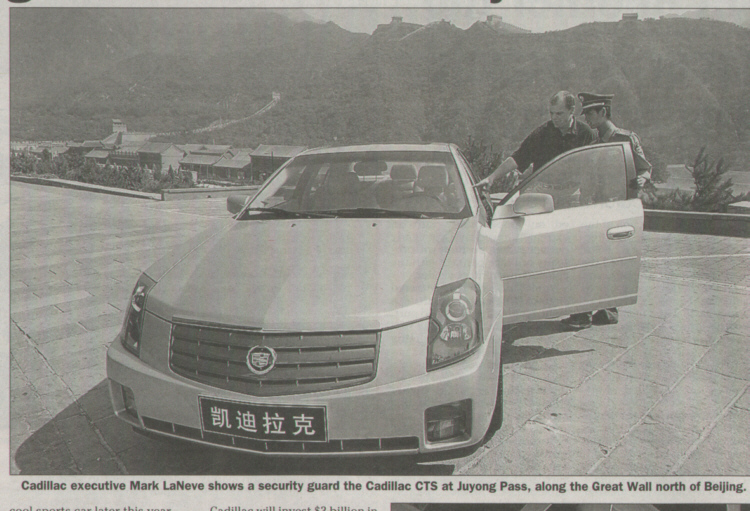 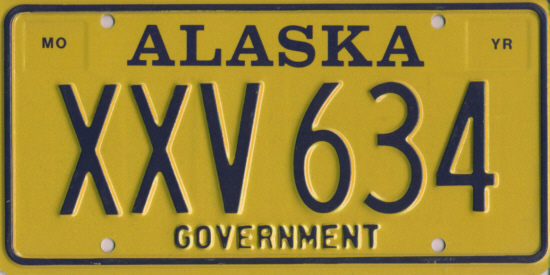 A United States Government plate. 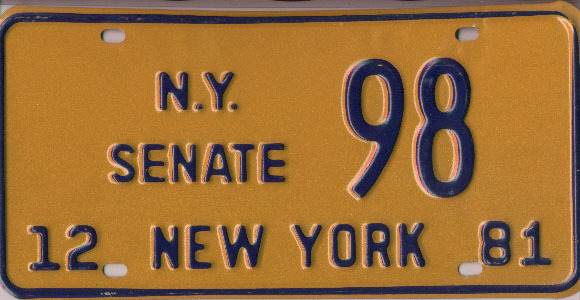 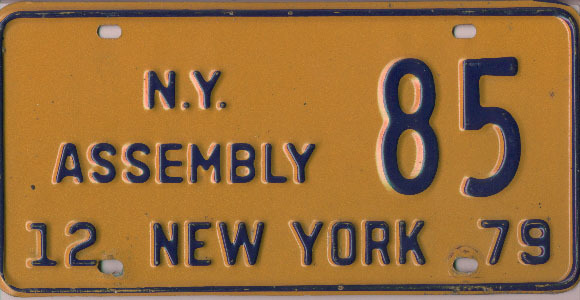 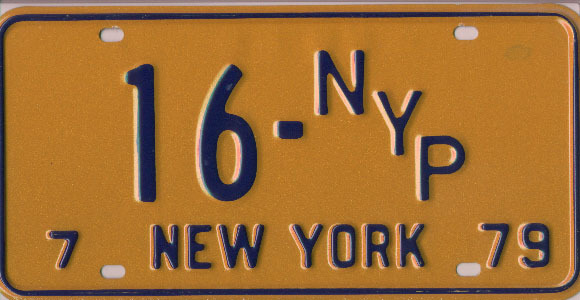 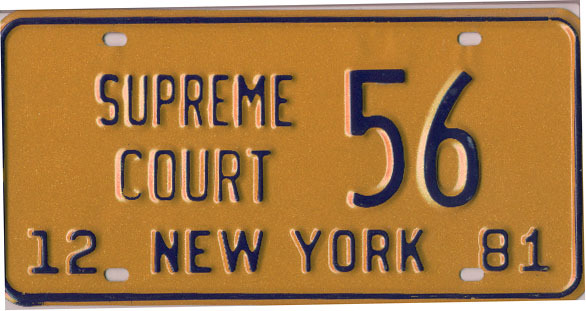 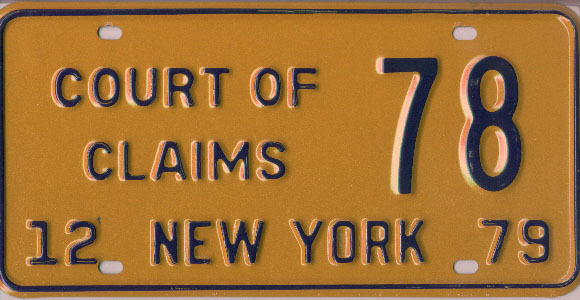 I am particularly fond of these New York specialty plates dating from 1979 to 1981. 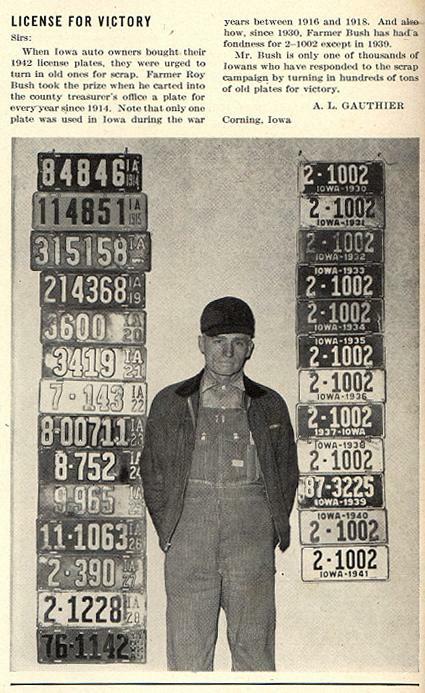 A nice old plate collection. 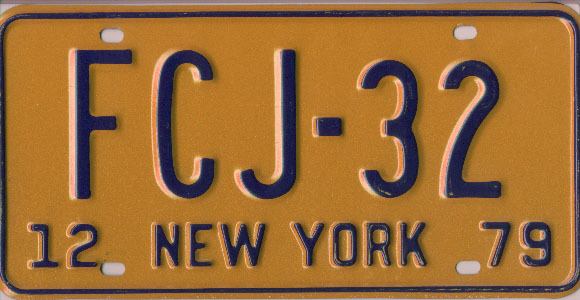 Yugoslavian plate from communist era. 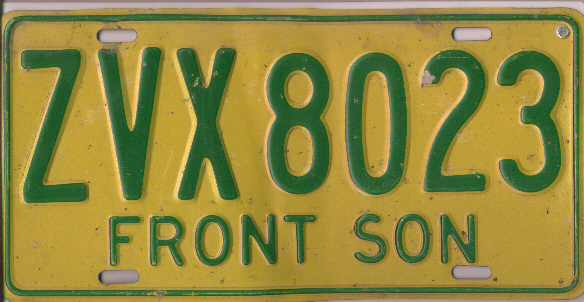 A Republic of Ireland plate. 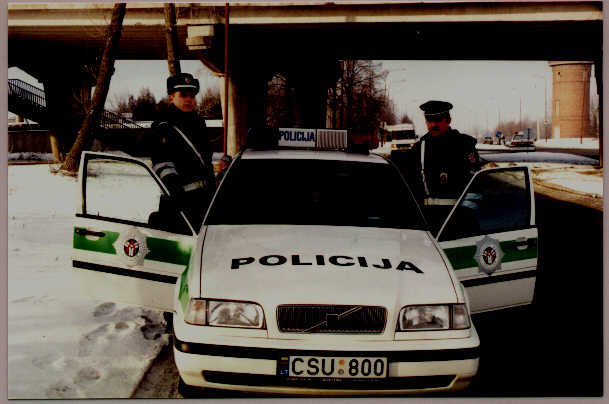 This Police car bears a current Lithuanian plate. 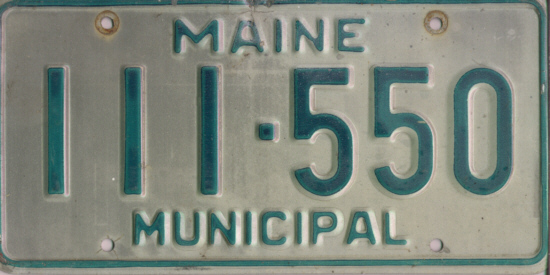 The following License Plate Wonderword is reproduced with the kind permission of David Ouellet, author and producer of Wonderword, who retains all rights and copyright to this puzzle, and by Universal Press Syndicate the distributor of Wonderword. 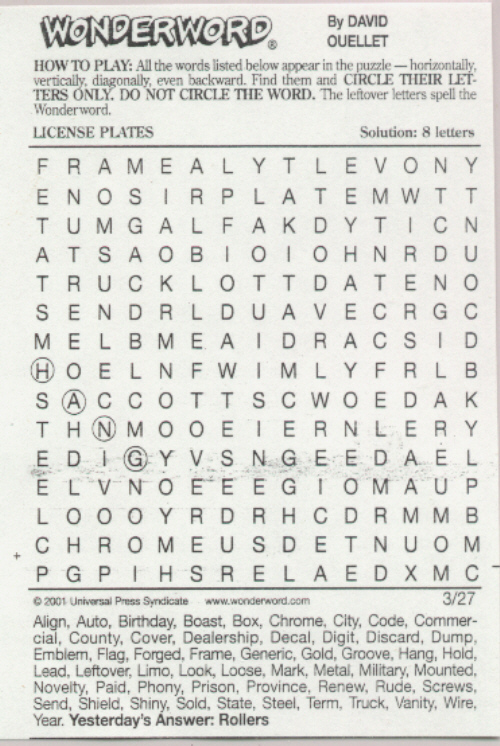 Visit David Ouellet's Wonderword site. 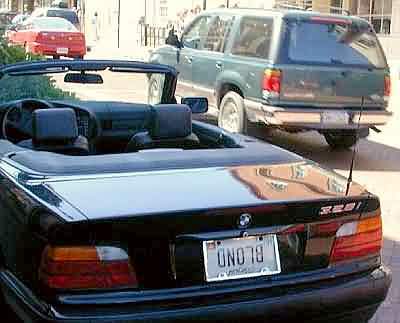 Scene from the movie, "Coyote Ugly". 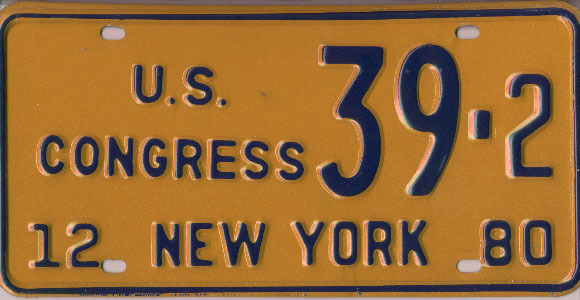 These plates were being donated as scrap metal for the war effort. 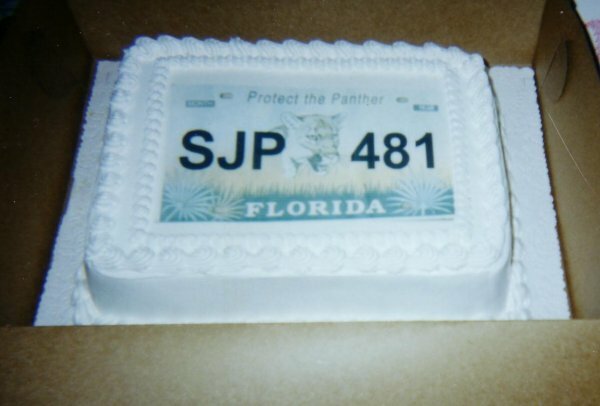 A photograph of Sean's recent birthday cake. 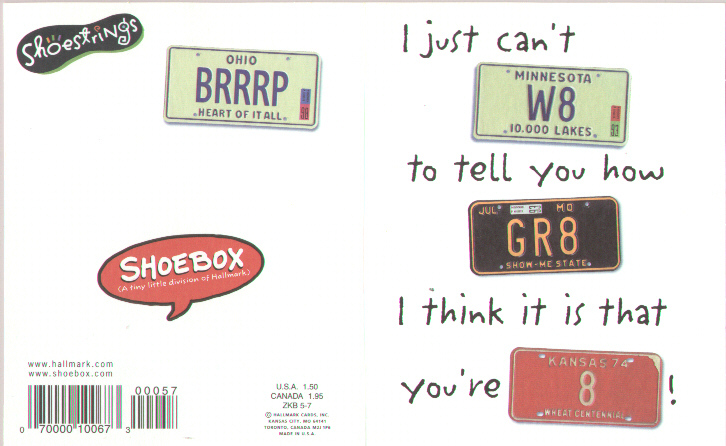 (a division of Hallmark cards). 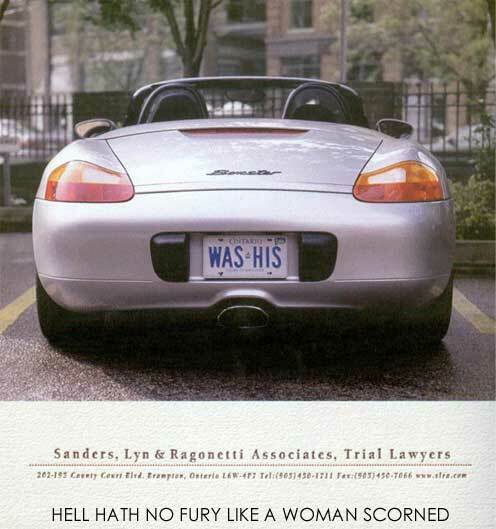 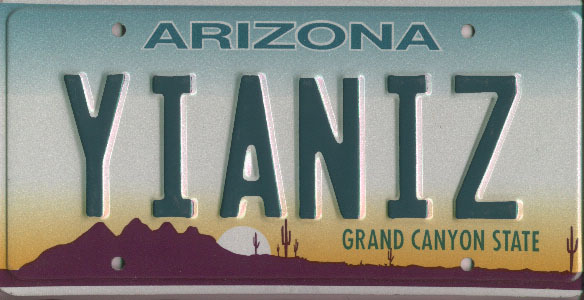 Michael Wiener's Best Plates page. 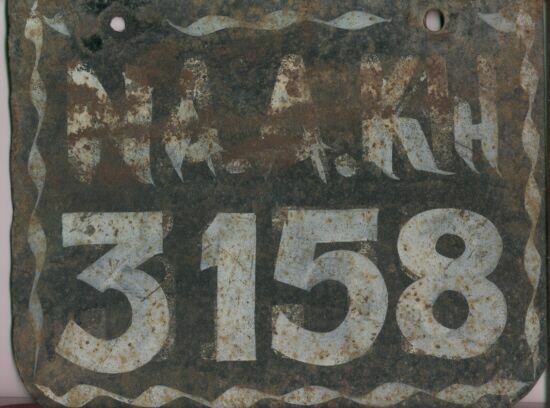 Olav Arne Brekke's Norwegian Plates page. 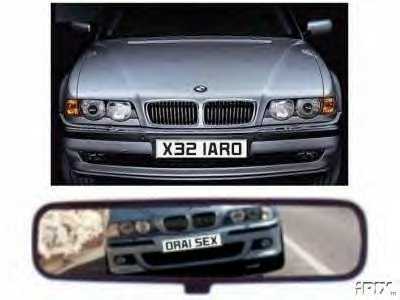 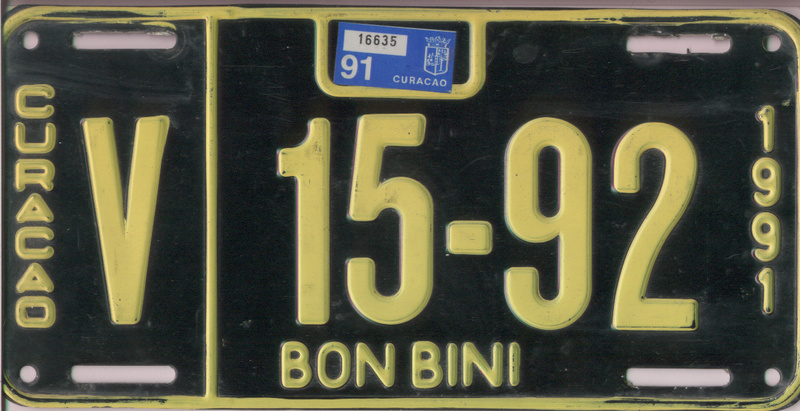 Adriano De-tomi's Swiss Licence Plates for collectors. 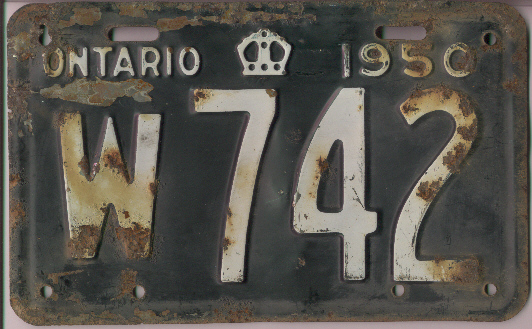 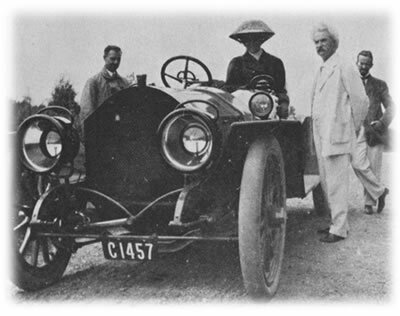 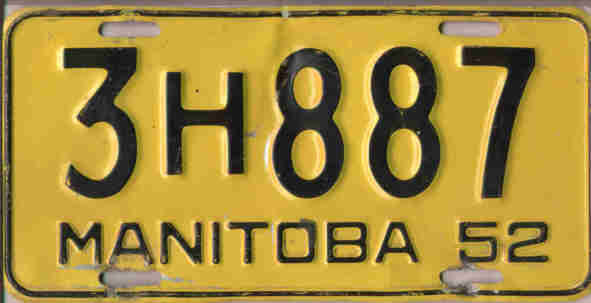 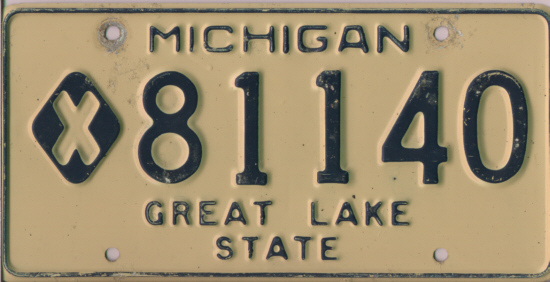 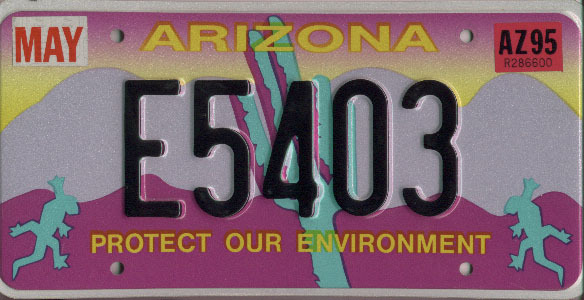 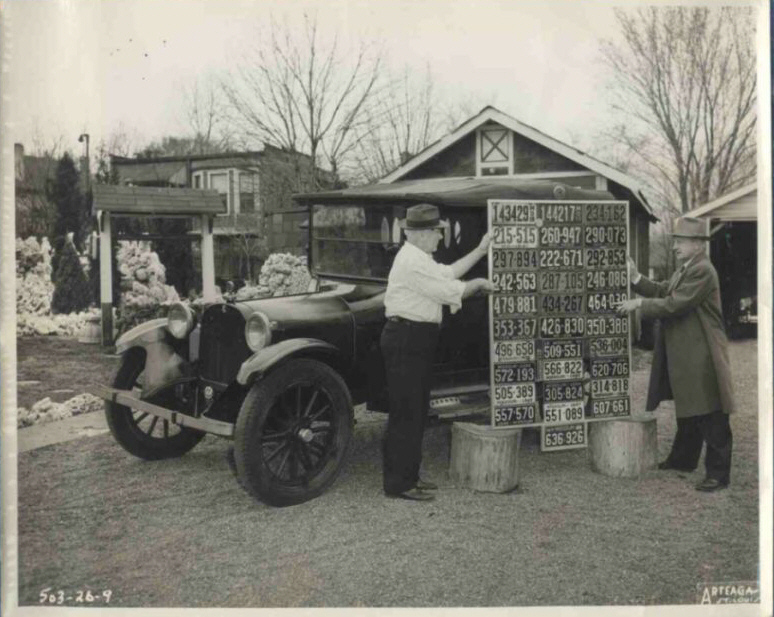 Herman Hallo's Licence Plate Page. 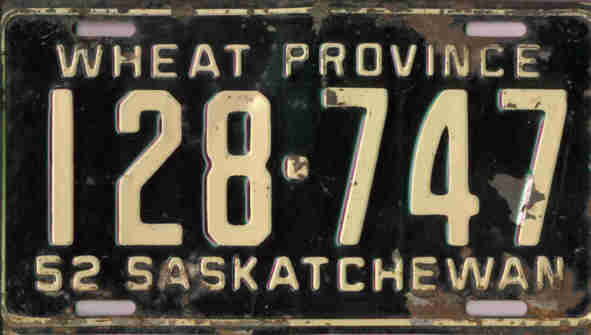 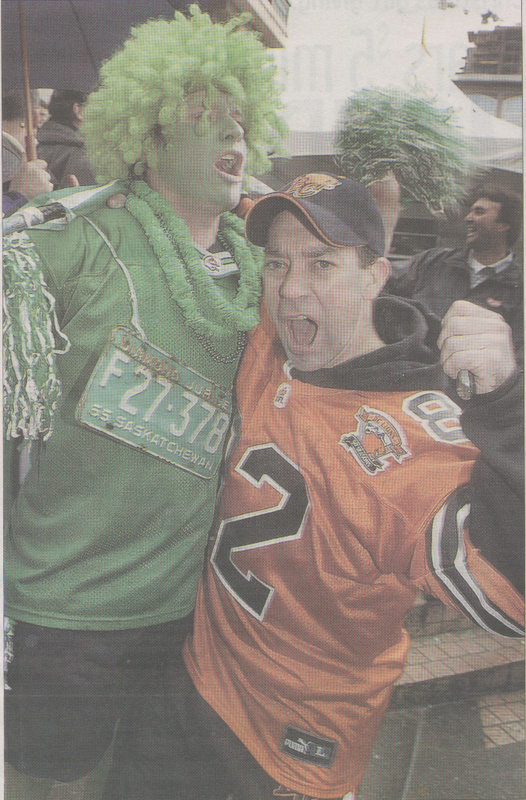 Christopher Garrish's B.C. 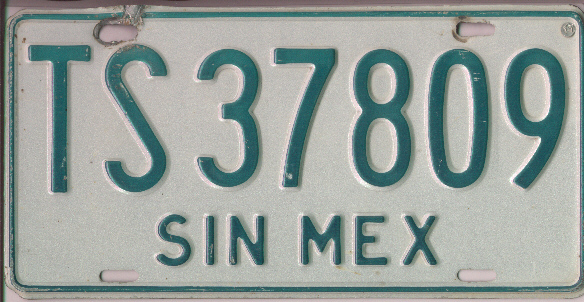 Plates Page. 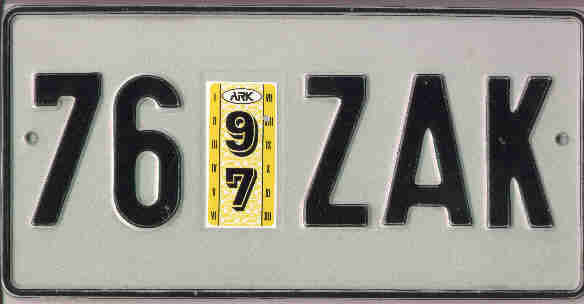 Grzegorz "YELLKY" Labe's plates page. 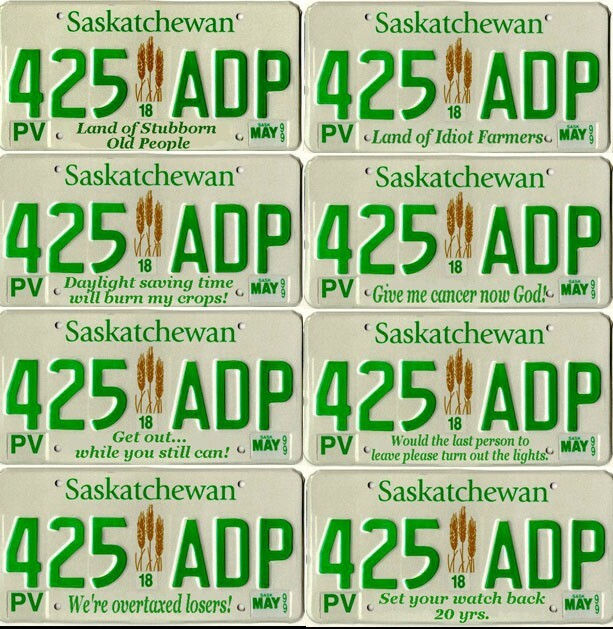 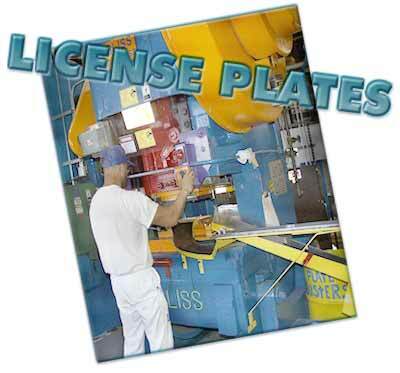 Brian French's Licence Plates Page. 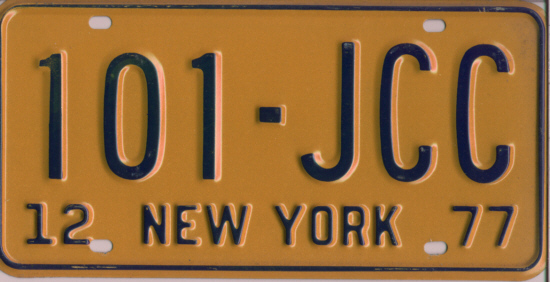 Jon Upton's "Back Bumper Page"
Build your own personalised plate jpg at the Acme Plate Builder.